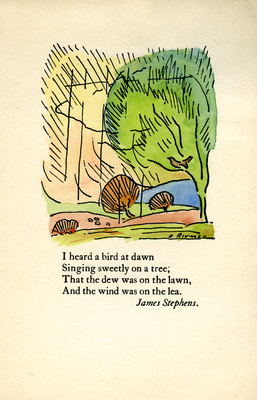 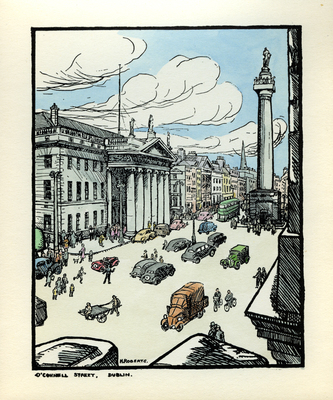 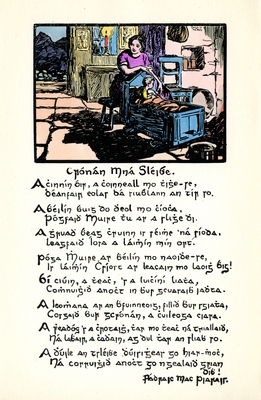 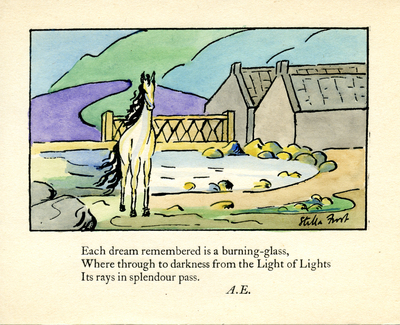 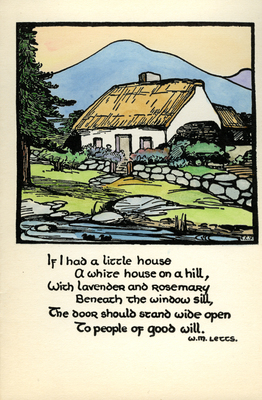 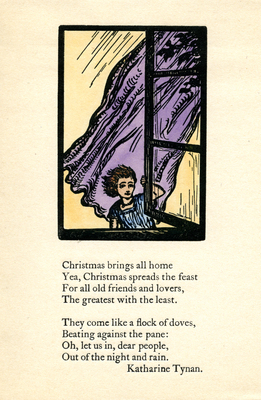 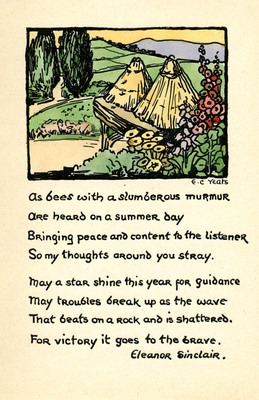 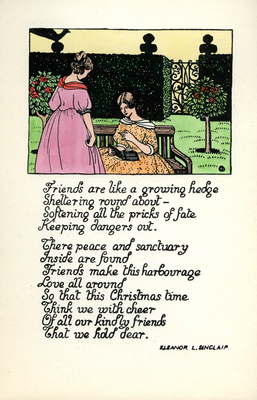 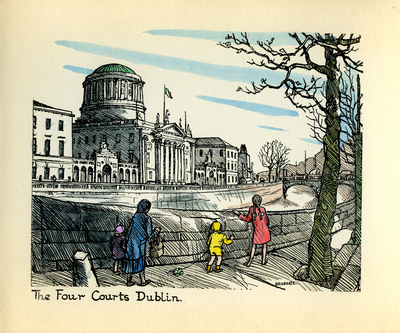 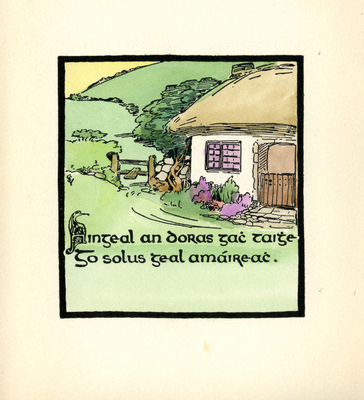 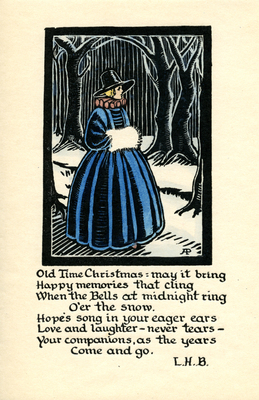 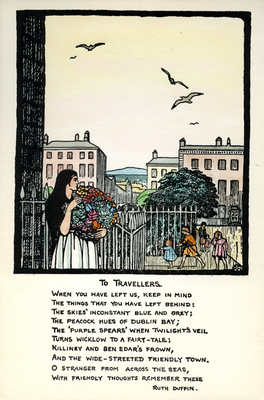 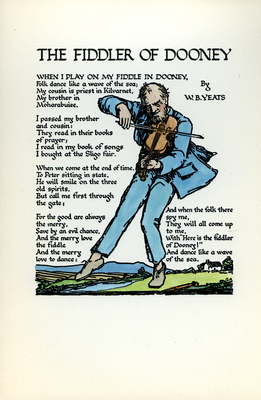 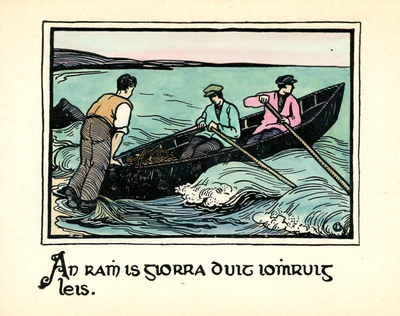 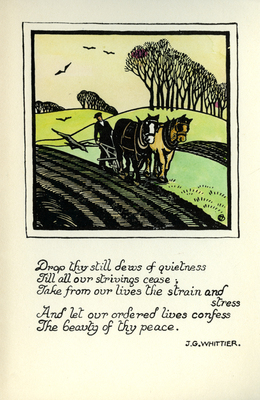 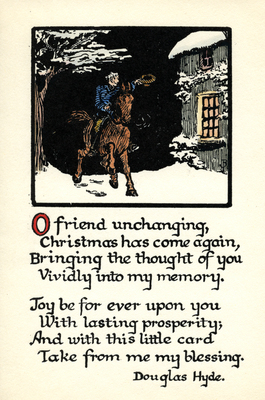 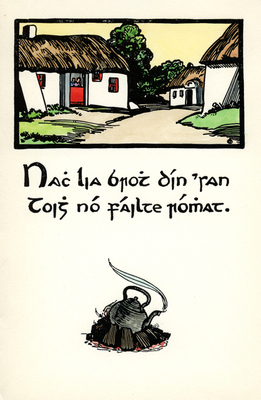 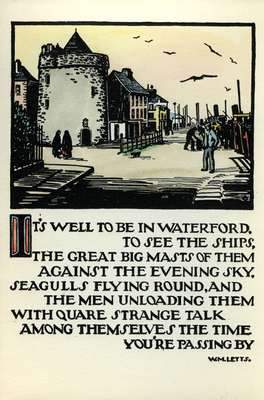 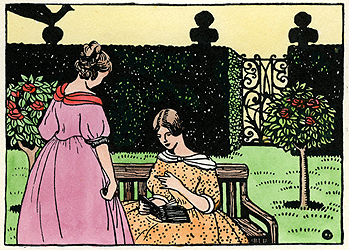 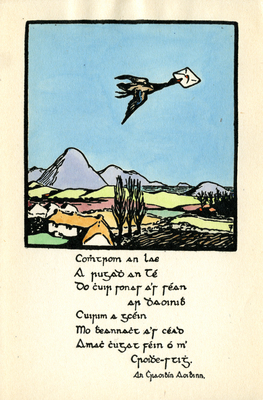 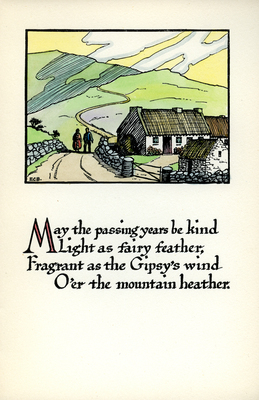 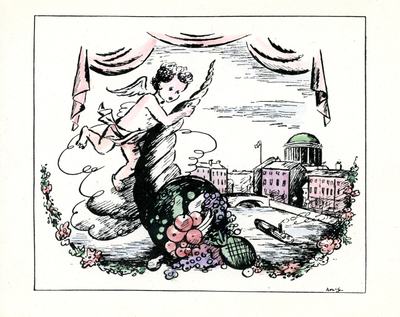 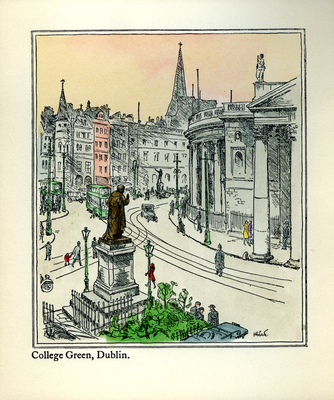 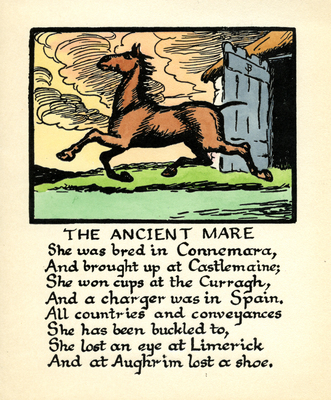 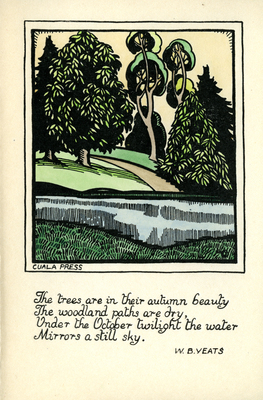 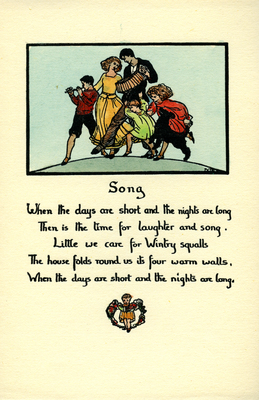 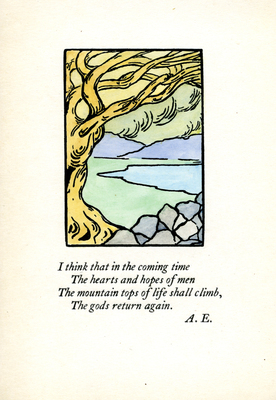 Portland Public Library's collection of 147 Cuala Press hand-colored greeting cards are housed in the Portland Room. 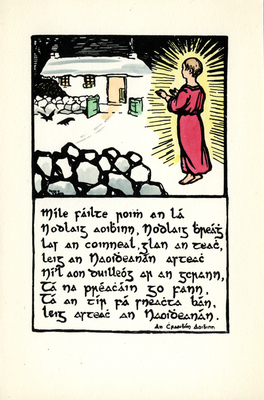 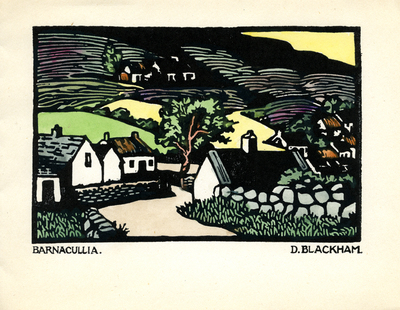 Themes include Christmas and religious scenes, landscapes and places in Ireland, and poetry. 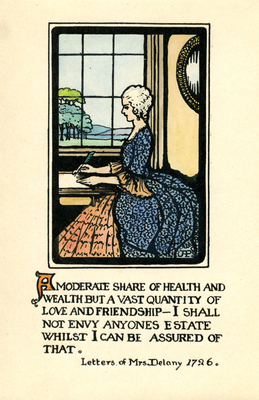 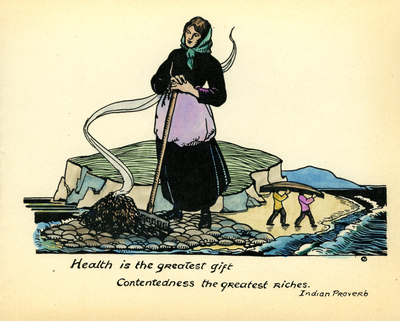 "A Moderate Share of Health and Wealth." 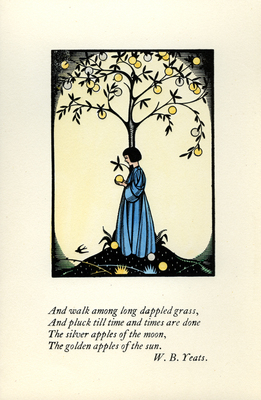 "And Walk Among Long Dappled Grass." 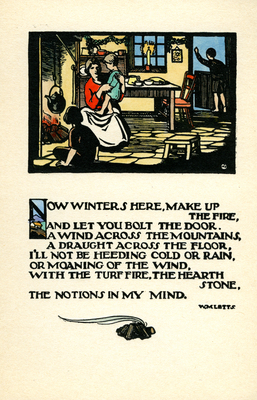 "As Bees With a Slumbrous Murmur."